Serving Dunwoody, Georgia and the surrounding areas. Call 770-394-7007 or email us today! Usually the project will be on the owner's lot, although we do have a few lots available in Old Cobblestone and on Clay Drive. 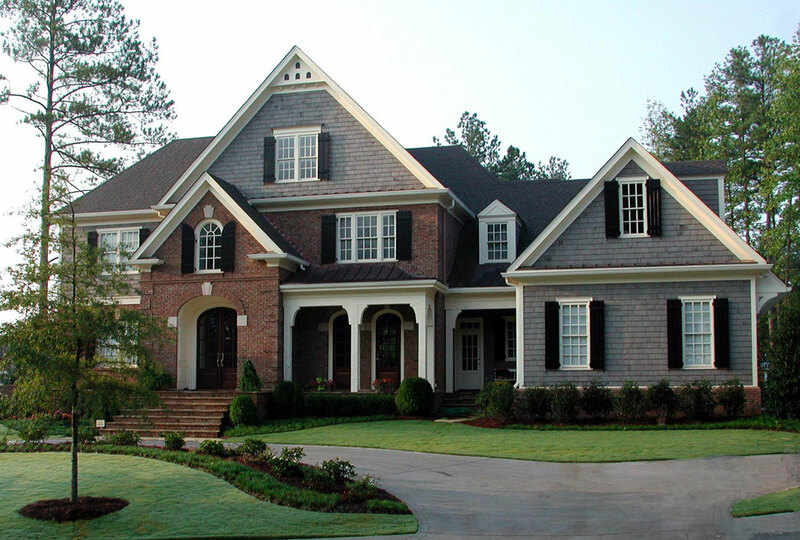 If the owner has not already selected an Architect, we can introduce them to Architects that we have worked with are known for their distinctive work in Atlanta. We also encourage the client to retain a Landscape Architect as the setting of the home is almost as important as the appearance of the home itself. Once the plans are developed, we will do an estimate of cost. As most of our homes are extremely individualized, the selections and embellishments dramatically influence the cost. If the estimate is done before the selections, the estimate may prove to be seriously understated. We want no surprises at closing. We seldom do fixed price contracts for this reason. Our standard arrangement is cost plus. The construction project is fun and we like our clients involved so we want you to visit the house often. You will meet with us on an organized schedule. Your decisions are vital to the process. We start with a list of things that need to be done and monitor progress throughout the process. You will hear from us regularly - more often than weekly. Communication is the key. We will keep you involved and informed. At the end of the process, we will deliver a finished home that doesn't require a "punch list". Prior to closeout, we will do a walk through to be sure everything is to your satisfaction. We will be there after the closing and repair anything that is incorrect. We pride ourselves on our follow up reputation. It is one of our biggest word of mouth selling points. Bill Grant Homes does do remodeling. In general, our activities are restricted to rather large projects and the best use of our expertise are projects that have refined detail that need precise execution. Of course, we are always happy to accommodate members of our Bill Grant Family of Homeowners. In a remodel project, we like to have all the decisions made and plans completed before we start. We work hand in hand with the Decorator of your choice. Many of our projects also have architect involvements - either in-house or working with outside firms. We know that particularly with remodels, time is critical. Our method is to be as fast and as least disruptive as possible. To that end, where possible, we try to get all the materials on site before we start so we can complete the project rapidly.Our jobsites are clean and construction trash cleared quickly. We treat your home like our own, respecting both your privacy and your lifestyle with as little interruption as possible. All of regular subcontractors work on our remodels - the same skilled tradesmen that work on our homes being built. Most of them have worked with us for over ten years and know what we expect on our projects - so no learning curve and done to our high standards of expected quality.